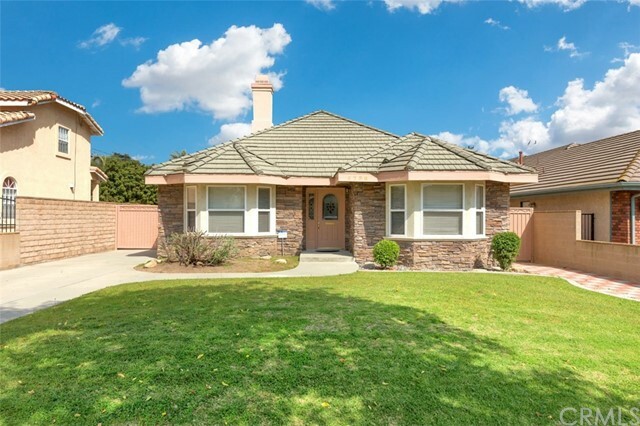 All Temple City homes currently listed for sale in Temple City as of 04/21/2019 are shown below. You can change the search criteria at any time by pressing the 'Change Search' button below. If you have any questions or you would like more information about any Temple City homes for sale or other Temple City real estate, please contact us and one of our knowledgeable Temple City REALTORS® would be pleased to assist you. "This home was custom built as the primary residence for the contractor and no expense was spared. 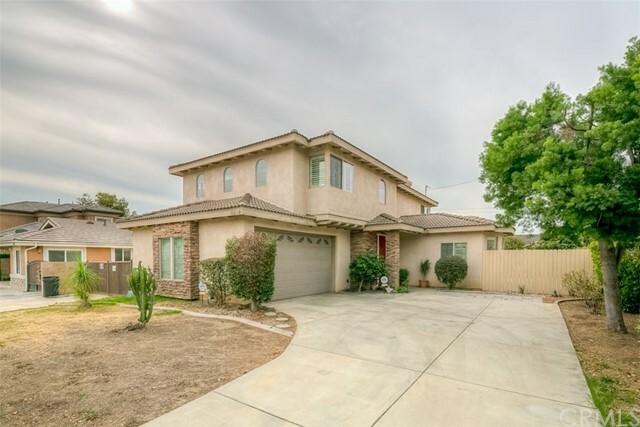 First time on the market in over 17 years, and the 5th largest home in Temple City! Some of the features of this home include 2 stairwells, 5 bedrooms and 4 bathrooms in the main home, finished attic over detached 3 car garage with an additional living area complete with shower, sleeping area and kitchenette, this property also has a 2 car attached garage, with direct access to the house. 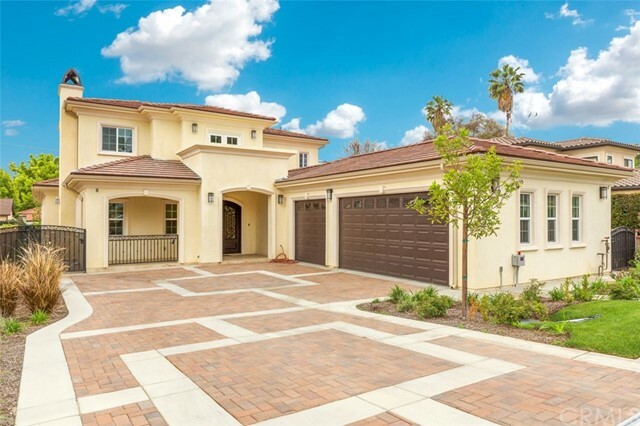 The pictur"
"Beautiful Brand New Construction on one of the nicest streets in North Temple City. This Magnificent home with over 4000 square feet on just about 13,000 square foot lot will not disappoint. 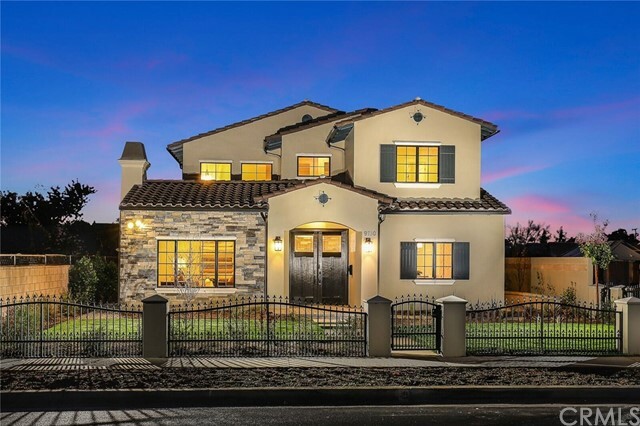 Built meticulously by Franklin Builders, every facet of this gorgeous home has been carefully designed with the highest craftsmanship and boasts top quality finishes and incredible design elements throughout. 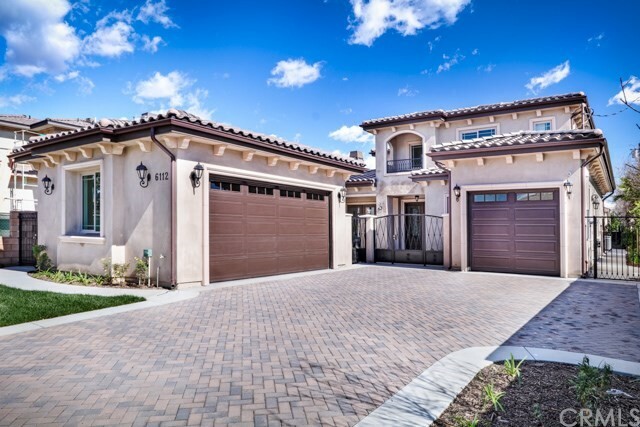 Gorgeous decorative steel double door entry and an absolutely stunning foyer with wrought iron brida"
"Major Price Reduction...Incredible opportunity to Own one (9518 Live Oak), two (9524 Live Oak), or both together Beautiful Temple City Homes in Nice Area with Great Schools. 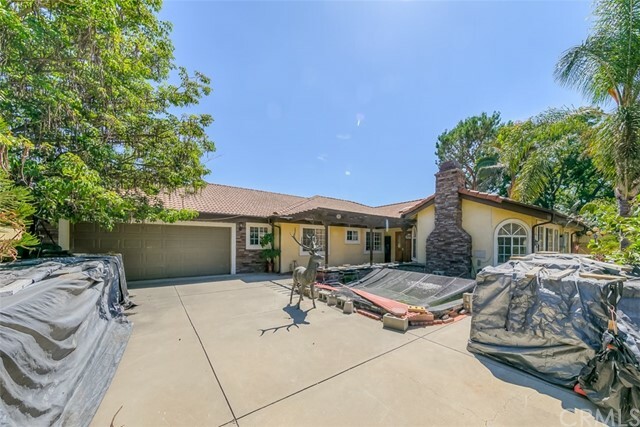 The Front Home (9518 Live Oak) is 4,458 Square Feet Quality and has Security Gate with Wonderful Curb Appeal, 3 Car Garage, Nice Entry with High Ceilings, Tile Floors. To your left is a Living Room Area, Recessed Lighting, Adjacent to Formal Dining Room, Wet Bar, Wine Cooler and Rack. You move into the Large Gourmet Kitchen "
"New Remodeled turn-key home with private and beautiful courtyard at a large lot with 3- car attached garage and plenty spaces for additional RV/cars parking. 2 Bedrooms on the main level and 3 suites on the 2nd level. Master suite has a walk-in closet with designed new bathrooms. Double door entry leading to the formal living room with fireplace and bay windows. Formal dining room and kitchen with custom cabinetry and center island opens to spacious family room. New hardwood floors, LED lights, "
"Temple City School!!! 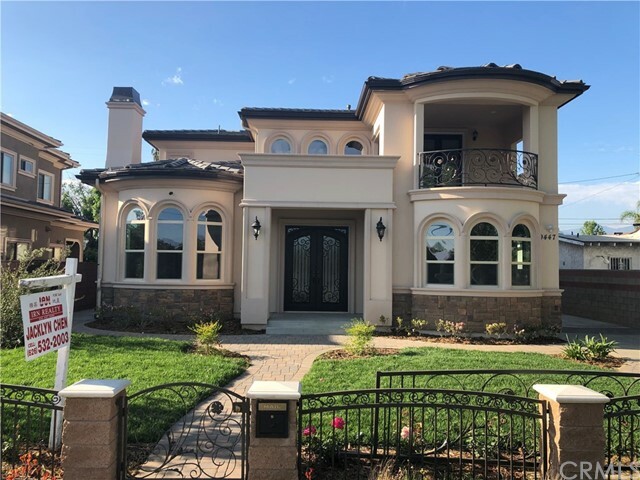 This stunning brand new two story Classic Mediterranean Style home is built by Eric Construction Inc, a well-know company with the highest qualify construction, finest craftsmanship, premium material & custom details throughout! A gated courtyard greet you as you enter this home featuring high ceiling foyer with a modern accent fireplace in the living room. 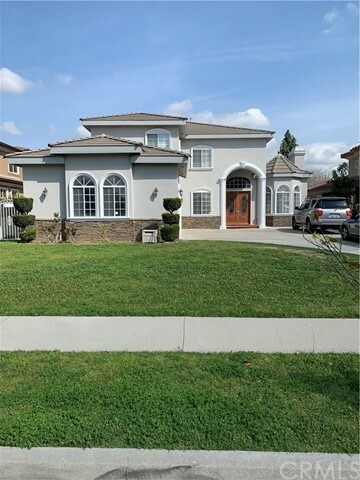 A home office, which could be used as a guest guest bedroom or in-law suite is conveniently located at the back of the"
"Situated in the prestigious Temple City resides this north facing NEWLY BUILT luxurious home! 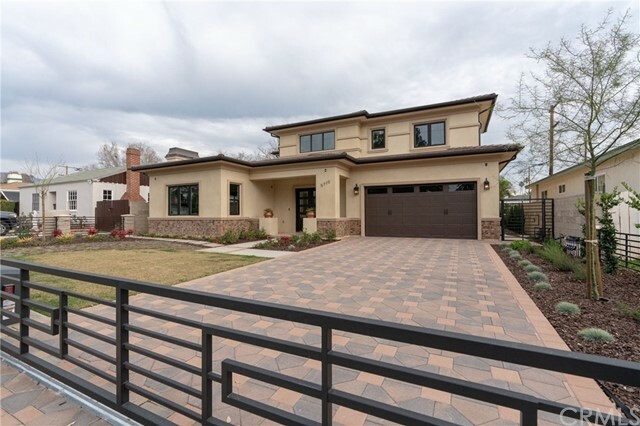 9908 Live Oak Avenue is a 3,353 sq. ft. home with 5 bedrooms and 5 full baths on a 8,152 sq. ft. lot. The main entrance welcomes you to a grand foyer with tall ceilings, and the living room is to the left and dual office/ bedroom to the right. The gourmet kitchen is adjacent to a secondary kitchen dedicated to preparing stir fried dishes. The family room, bar, and outdoor patio serves as spacious areas "
"Situated in the prestigious Temple City, this 2 story home is in a friendly community on a very private street. 6 bedrooms and 5 1/2 bathrooms with 4 bedrooms on 2nd level and 2 bedrooms downstairs.A large family room with a fireplace, a granite countertop kitchen with a granite center-island and a granite countertop bar nearby. Convenient distance to shopping mall, restaurants,banks, supermarkets and schools." 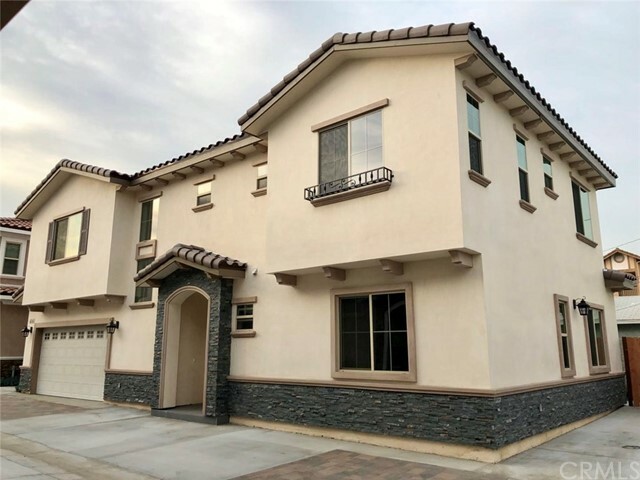 "Brand New Luxury Double Door Entry Home Located In The Award-Winning Temple City Unified School District. 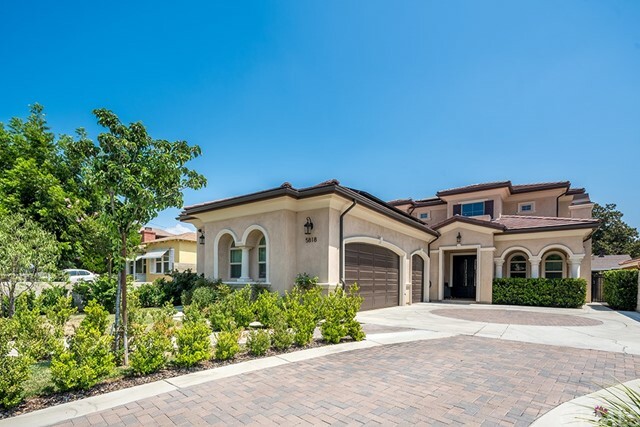 This Two-Story Home Features 4 bedroom suites,4.5 baths the total size of 9,359 Sq, ft. Features High Ceiling Entrance With Chandelier Formal Living /Dining Room With Lovely Fireplace. Large Family Room Opens to Chef s Kitchen With Expensive Quartzite Material Counter Top And Center Island. Two Kitchens With 2 Stainless Steel Refrigerator With One Built-in. Walk-in pantry, Wet"
"The Brand New, beautiful two story custom built single family home in the Temple City School District! 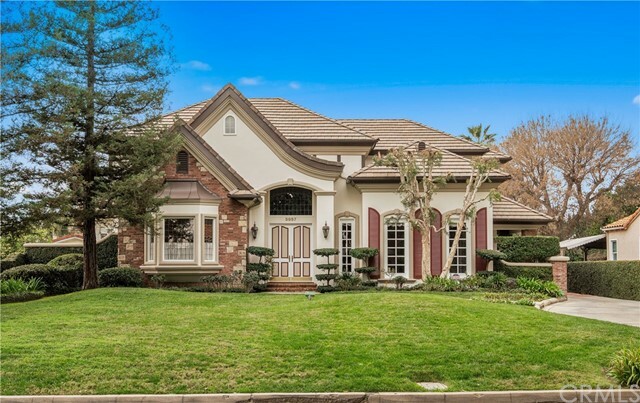 This elegant home is facing south, with unique features 5 bedrooms, 4.5 baths, and 3 cars attach garage. A chandelier in the entryway leads into a high ceiling living room with a custom fireplace, and a formal dining room. Large gorgeous family room is open to the spacious kitchen, breakfast nook area. The luxurious master bedroom suite features a walk-in closet, custom spa tub/Jacuzzi and stea"
"Brand New 2018 Luxurious Contemporary Custom Home built by Allpro Custom Builder. Located in the desirable neighborhood. Award Winning Temple City School District. This masterpiece is gracefully designed with all the amenities. It features 4 bedrooms 4.5 baths + Loft. Double front door opens into high ceiling entry and elegant style custom make wrought iron staircase. Living room with luxurious porcelain tile flooring & custom built fireplace. Formal dining room with detailed wainscot. Gourmet k"
"ARCADIA SCHOOL DISTRICT!! This magnificent custom home was built in 2007. Move in ready condition and meticulously well kept, it has 4 bedrooms and 5 bathrooms, with each bedroom being a master bedroom with its own bathroom. One main level master bedroom downstairs and the remaining bedrooms are upstairs. There s a half bathroom next to the family room. This home features elegant crown molding throughout the house, custom-built window shutters, marble flooring in the formal living"
"This two-story superior quality single family home is situated in the highly desirable neighborhood in Temple City, with access to the award-winning Temple City Unified School District. Located near schools, supermarkets, bank, public library, and shopping malls. The home features dual zone central A/C, central furnace, double door entry, crown molding, recessed lighting, LED crystal lighting fixtures, marble tile flooring, double pane windows, arched windows, copper plumbing, nest thermostat, p"
"Custom built home in Award-winning Temple City school district and with convenient distance to shopping mall, restaurants, banks, supermarkets, and schools. This gorgeous home features 5 bedrooms and 5 Bathrooms, a double- door entry with high ceilings and chandeliers, and a living room with a custom-made fireplace. The gourmet kitchen has a granite center-island, walk-in pantry, wok kitchen, wine cellar, breakfast area & Jenn-Air stainless steel appliances. Downstairs has 2 suites, and upstairs"
"Newly Built 2-Story Luxury Home in Temple City!! 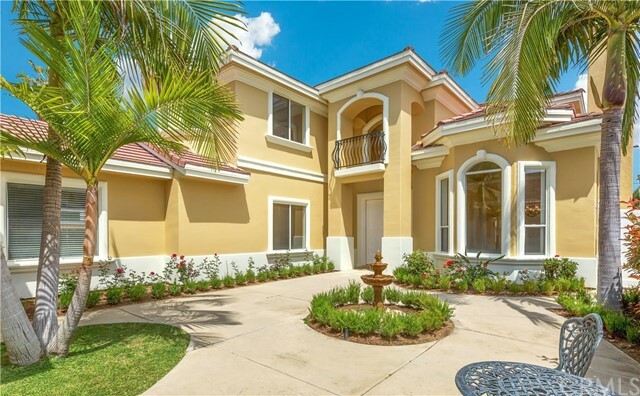 Located on a quiet street filled with beautiful lush greenery, this home features a Grand Entry with 4 Bedroom Suites, 4.5 Baths, Library and High Ceilings throughout! With a Large Family Room that stretches into a Custom Kitchen, paired with Beautiful Formal Living/Dining Rooms, this Open Floor Plan makes entertaining guests seem effortless! Master Bathroom comes equipped with a Jacuzzi and Steam shower for peaceful relaxation. 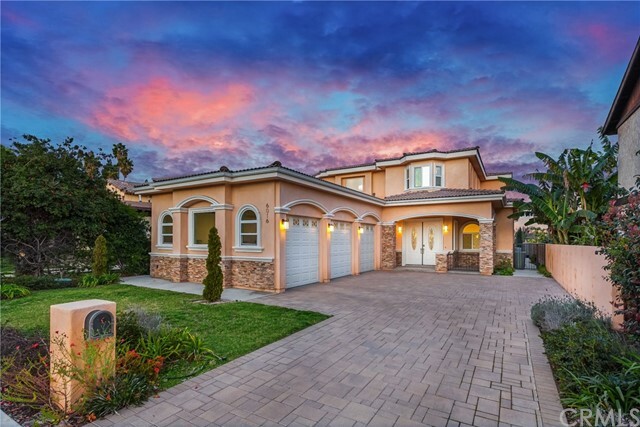 Custom Wood Finish"
"A beautiful home located north of Las Tunas Drive in the award winning Temple City School District. 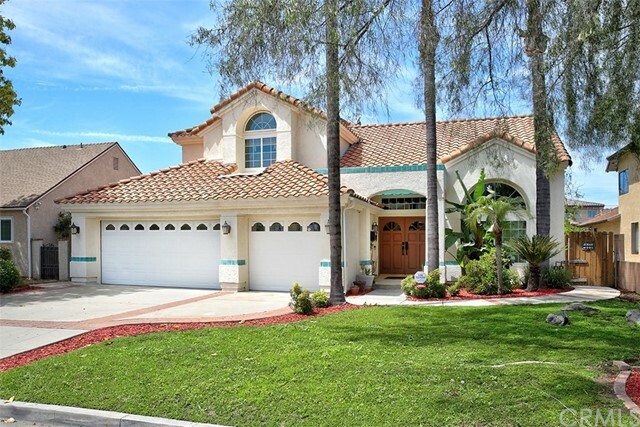 This 2902 Sqft home features 4 bedrooms and 3 full bathrooms on a 7846 SF lot. 3 car garage provides a lot of storage space. Double front door leads you to an open and bright living room with vaulted ceilings. The spacious kitchen, featuring granite countertops and stainless steel appliances, is very open to a good sized family room. 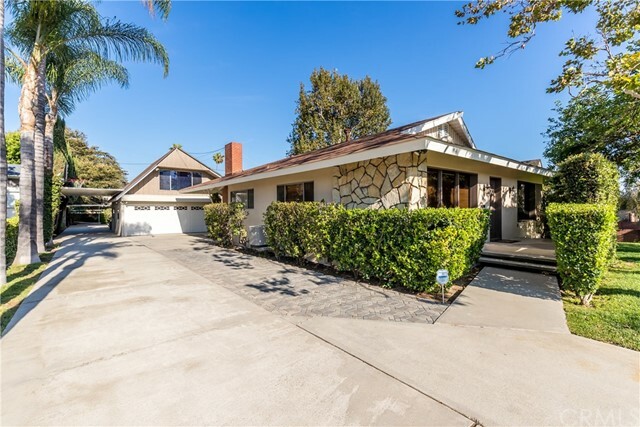 The cook top is on a center island and faces the family room whi"
"Situated in prestigious Temple City on a peaceful street, this single story home with 4 bedrooms and 4 Bathrooms on a 9,918 square foot lot includes a gated pool and a 500 sq. ft. bonus room. The main entrance welcomes you into a living and dining room supported with decorative porcelain stone and wood, high vaulted ceilings as well as a cozy fireplace and mini bar. The kitchen features appliances with a walk-in pantry, beautiful wood cabinets accompanied by a view of the family room. Amongst th"
"EXTREMELY RARE, WELL MAINTAINED UNITS ON A SPRAWLING LOT, IDEAL FOR AN EXTENDED FAMILY. Situated on an 80' wide by 185' deep lot, offers a professionally manicured grounds & a central backyard. The front unit is 1,790 ft home with 3 bedrooms & 2 bathrooms on a raised foundation w/a family room, living room, fireplace, updated kitchen, central HVAC and an additional 120 ft basement. There is a cantilevered concrete patio that is 445 ft . The attached back unit offers a sepa"
"BEAUTIFULLY CONSTRUCTED LUXURIOUS HOME WITH ATTENTION TO DETAILS. FEATURES 4 BEDROOM SUITES (4BR/4BA, 1 DOWNSTAIRS) PLUS GUEST POWDER ROOM, FORMAL LIVING ROOM WITH FIREPLACE, FORMAL DINING ROOM, LIBRARY W/ BUILT-IN DESK AND BOOKSHELF, GOURMET KITCHEN W/ HUGE ISLAND, GRANITE COUNTER TOPS & BEAUTIFUL CUSTOM CABINETRY, HIGH END DCS STAINLESS STEEL APPLIANCES, SEPARATE WOK KITCHEN WITH DCS COOKTOP, ELEGANT BAR CABINET, FAMILY ROOM W/ 2ND FIREPLACE AND FRENCH DOORS TO BACKYARD. 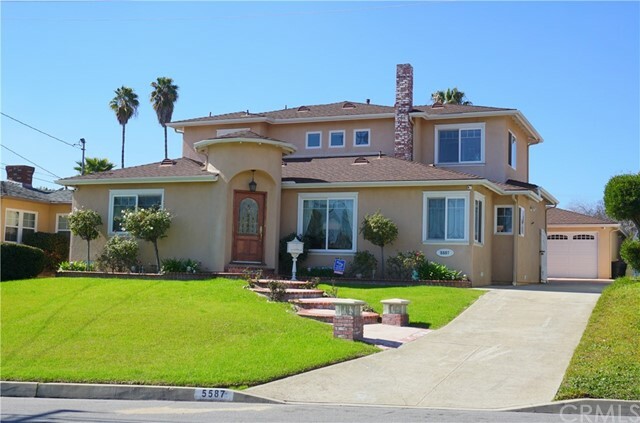 MANY UPGRADES SEEN THR"
"Major Price Reduction...You can refer to 9518 Live Oak Ave as well. 9524 Live Oak is a Beautiful, Single Level Home in Good area of City with Great Schools. 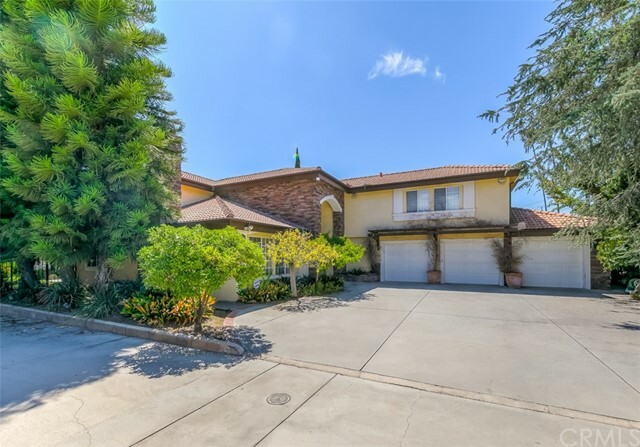 It is a Security Gated Property behind 9518 Live Oak and you take the Long Separate Driveway to the home. You see a Two Car Attached Garage, Beautiful Koi Pond adjacent to the Entrance. It is a Good Size Home (2,758sqft) with a Good Size Lot (11,565sqft). The Home has an Open Floor Plan with Kitchen, Family Room w/Fireplace, Tile Floors and "
"Best quality custom home built almost entirely in 2008. Down stair: Gorgeous but simple high ceiling and real hard wood floors Living room with stucco moldings and fireplace. Dining area . Kitchen: Built in Trivection oven 240v and 120v advantium 2 ovens. 5 burner cooktop Granite counters with black granite sink, upscale Cherry wood cabinets built in GE Monogram 48 refrigerator, trash compactor, traverine tile floor. All 3 bath are tile floors tile showers, granite tops. Master bathroom upstair "
"Rare Temple City Duplex two houses on one lot less than 1 block away from the brand new Camellia Square; the Elm Shopping Center; Supermarket; Kmart and multiple other businesses that make up the corner of Rosemead Blvd and Las Tunas Dr. Two single family homes and two addresses on one property (9056 Hermosa Dr and 5852 Sultana Ave). Main unit 9056 needs some tender loving care featuring 2 bedroom 1 bathroom with den about 1077 sq ft and two car garage. 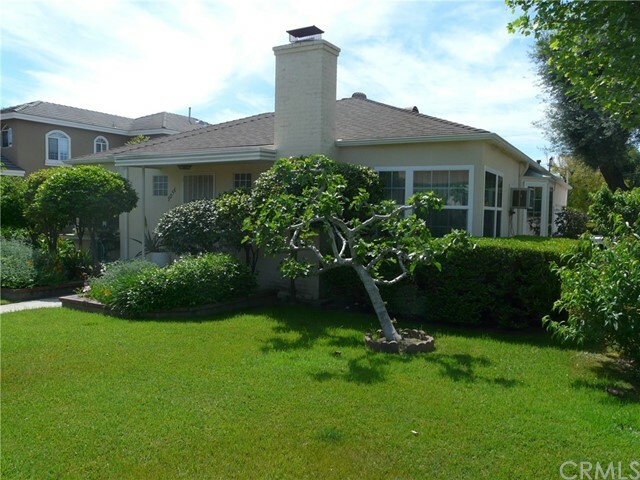 Second unit 5852 updated with 2 bedroom 1 "
"Beautiful custom 2-story home built in 2005 situated in a Temple City neighborhood with award winning Arcadia School District. Living room is currently use as a bedroom which can be easily convert back to living room. Newer hardwood floor throughout the family room, kitchen, and dining area. Master suite and 2 bedrooms are upstairs with absolute privacy. 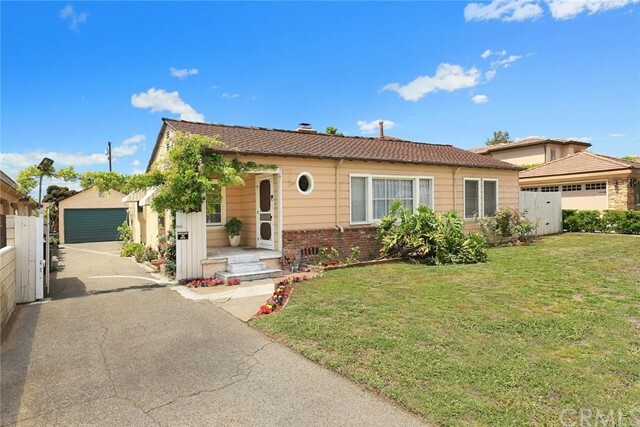 Close to school, shopping, bus stops, and freeways." "Welcome to this elegant home situated on a quiet street in a highly-sought neighborhood. With 2,228 square feet living space in main house and approximately 400 sqft separate bonus house over 13,800 square feet of land. Spacious living room with plenty of natural lighting. This 4 bedroom 3 bathroom home is the ideal home for a household of any size. All bedrooms are in good size and the large master suite has its own separate entrance. large sliding glass doors to the back yard patio and a gorge"
"Luxury Brand New Detached Condo nestled in the prime area in Temple City, with excellent Temple City School District. 4 properties are in this community. This stunning house with 4 bedrooms, 4.5 bathrooms (4 suites), and one suite on main floor. Tile looks like marble floor. Gourmet kitchen with granite countertops. Stainless steel appliances and upgraded cabinetry. Laminate wood flooring on first floor, and engine wood flooring through most of the second floor. All the bedrooms with their own b"